2 Bags Full - My adventures in travel, knitting, and the blessings of my every day life. 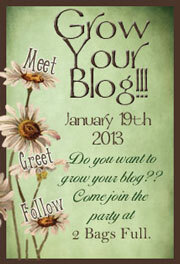 : My "Grow Your Blog" Party!! All Bloggers are Invited!! This is THE Official Sign Up post! My "Grow Your Blog" Party!! All Bloggers are Invited!! This is THE Official Sign Up post! If you are looking for the Grow Your Party list of participants for this years HUGE party -- you will find it here! Elvira lives in (sigh)--- Tuscany. Her photography is simply breathtaking. She shares photos of the Tuscan countryside that are beautiful beyond words- and she has a wild boar that she rescued as a baby -- she keeps her as a pet! ~~ Catherine lives in Belgium -- she is a children's illustrator and makes beautiful bears. Her party themed designs are precious.~~ And Maggie -- lives in France - in a beautiful historic Presbytere. She shares stunning photos from around her home and takes us along on her travels. Whether you have been blogging for years or months or just days -- we all want the experience of making new friends and just knowing that there are people "out there" who care about and are interested in our blogs. We want to be "heard". We want people to visit - and leave comments -- and come back again and again to read what we write. We want FOLLOWERS!! My "Grow Your Blog" event is designed to bring more readers and FOLLOWERS to your blogs. The premise is simple -- visit as many blogs as you can and follow those that interest you. In turn, those folks will be doing the same thing -- and hopefully everyone will grow a bigger blog! 2. PLEASE share the beautiful party badge (created by friend Karen) on your own blogs. The more people that know about this event -- the better. We need lots of people to participate so that you have a better chance of "growing your blog!" Share this information with your blog friends, with your readers and followers -- perhaps do a special post about the event. Spread the word!! 3. Just in case you don't get what you want for Christmas (LOL!!) -- lets give away some prizes to our participants! If you wish (it's NOT a requirement) you may give away a prize. (Anything you want.) The rules need to be simple -- anyone can enter, anyone can win - regardless of where they live. There is NO requirement that a person has to be a follower of your blog to win. ***The winner does not have to have a blog -- please make sure that you make that evident on your post -- anyone can enter -- anyone can win. *** Blogging has NO boundaries and you need to be willing to mail your gift anywhere in the world. Let's all do the same thing and give our prizes away on February 1, 2013. You can announce the winner of your giveaway on Your blog. 4. **** Please publish your blog post late in the evening of January 18th. I will publish my post as the host blog -- around midnight on the morning of the 19th. I'll participate just as you all do - and will have a little give away of my own as well. 1. Introduce yourself on your blog. Tell about who you are and why you started your blog. If your blog pertains to a particular interest - tell about that also. In short - let folks know what your blog is about. 2. Make sure that you go to your blog profile and add your email address to your profile. There is NOTHING more dreaded than the No-Reply Blogger status on your comment. People want to be able to reply back to you and if they can't because you have not included your address in your profile -- they may get frustrated. 3. Comment Moderation spam filter ---We all hate it. Please consider turning it OFF for this event. Folks just do not want to sit and have to type in those silly numbers and letters every time they leave a comment. If you visit 50 or 60 blogs - that might get old really fast. It is totally your choice to turn it off or leave it on -- I am just suggesting that you turn it off. 6. Put your first name someplace near your blogger profile and share a photo of yourself if you would like. People want to identify with you and to call you by your first name when they leave their comments. 7. Please -- we are NOT selling things here. That is not what this event is about. The purpose of this event is to Meet-Greet- and Grow your blogs! So please don't take advantage of that. If you have an ETSY shop or website -- just have it listed on your sidebar. If folks are interested - they will go there. 8. If you want to give your blog a new "do" in time for the party --- you might want to contact Karen - she will make your blog look beautiful! ps -- coming up next -- a little motivation for some pre-Christmas shopping and a little reward for my devoted followers! An I LOVE ETSY Party!! . I will link to some of my favorite ETSY shops and--- I will link to yours. If you are one of my devoted followers and your etsy shop is ready for Christmas shoppers -- then I would love to help to bring folks to your etsy shop. I will have all the info in a post that is coming up soon - so be watching!! And so it begins~~ the first donation for my "Pink Scarf Project" has arrived. Donated by the generous souls at the Lady of Fatima Church in Huntington, West Va-- it is beyond beautiful and so very special. The flower embellishments were added by my friend Janet Yost. 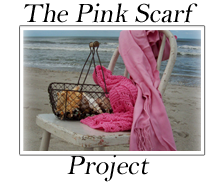 This scarf will bring a smile and a warm hug to someone who is recieving treatments for Breast cancer. Please consider participating in this special project. You may make or purchase a pink scarf for your donation. The scarf you donate could make a difference -- You can find more info on my sidebar-- or here. I am so excited that you are doing this. I have been blogging for awhile now and have 124 followers to date. Would love to build my blog full of followers and folks who will comment and let me know they are out there reading and enjoying life with me. Thank you so much for offering such a neat way to meet new bloggers. God bless. I ahve 73 followers and I have met the nicest women on the blogs and I have made some new friends! Count me in as well, please. :) I have 127 followers. I crochet, knit, cross stitch, needlepoint and write stories, too. I believe life is an adventure enjoyed even more by sharing it with the people we love. I am for sure would love to be a part. I blog on "Coveted Dreams" it's a place I write my heart out, my personal thoughts, fun ways to make your life beautiful & more.. I have 84 followers till now, so would love to have more readers. Started my scarf last evening ...finally! Was finishing up one already started and now onto yours. Praying for the one who should receive this scarf as I'm kntting. I want to join the party! I have 10 followers. Signing up, http://newgreenpatches.blogspot.co.uk or even com. 9 faithful followers to date. I'm with Acorn and Oak about the spam filter if at all poss. Signing up my Boulderneigh farm-life blog (www.boulderneigh.blogspot.com) with 173 followers. Vicki, what a beautiful post, I was so touched to see my name mentioned as well. Big hugs to you! Of course I'll take part in the Grow Your Blog event, although I have many followers ( 470 ), but it will be a good opportunity to visit lots of blogs I haven't come across yet and perhaps increase the number of their followers. Thank you so much for hosting this Vicki; I'm so excited to meet everyone. Hello Vicki. I would love to participate! I have some work to do on my blog before then, but hope to get it done. Have some tech issues I need to find someone to help me with ~ can no longer post photos on sidebar. I've made some great friends through blogging and would love to meet more. You have always wonderful idea my friend ! Count me in pls! Now I'm going to work :/ but as I will come back I'll share the badge and the rest! What a great idea! I so agree about the no-reply and the word verification. You are going to be one busy girl with all of this! So very lovely your sweet invitation to all of us, carissima Vicky; so very charming and such a sympatic way of making new connections all over the world...! As my working-life has been and is in such an intense busy period I had so little time to be in my loved blogging world; though catching up will be fun..! I noticed too your most beautiful blog-makeover; it's just sublime; & your new, fabulous header in your very special pink-theme is absolutely outstanding.....& the new portrait in pink of YOU is so chic and beautiful!!!!!!!!!!! Yay! I am so glad to see this is a go... can't wait to join in the fun! I would love to have more followers (72 now), and I especially love the opportunity to FIND more amazing blogs to read! You are such a beautiful soul, and I am so happy you truly think about me as a dear friend, as you are that to me,- Thankyou my lovely Vicki. As to take part in your wonderful Party, I have to say, that for the rest of the year it is not possible for me, because I`m so bussy creating, decorating,doing shows, and creating again. I have to fill the shelves in my shop, and to have enough besides that, to take with me on 2 christmas shows,-and that leaves me no time for other than a bit of blogging with friends and posting a little in between. I so hope you understand that, dear friend. If I can be a member in January, I will love to be in your wonderful Party. Count me in for this too! I have 507 followers. I am in. I only have 147 followers but after 4 years of blogging, I just NOW turned on the gadget. Also, I will be happy to host a giveaway! oops...BTW, I will do my post later, today I am in blog hop...pop over and enter for a Halloween trick! Thank you - I would love to join your party. I was thinking of leaving my blog all together but I think I will give it a try once more. I found you through Tammy's post. I would love to participate! I have 546 followers. Thanks so much for hosting this. You seem like quite a remarkable person. I am your newest follower! Great idea, I need this, so count me in! My first blog Jan's Place was started in 2008, but I stopped blogging for 2 years while my mom's health was deteriorating, it has 142 followers. The blog world has changed since my first blog started, and I was in time off. My first blog "Jan's Place" was started in 2008, but I stopped blogging for 2 years while my mom's health was deteriorating, it has 142 followers. The blog world has changed since my first blog started, and I was in time off. Now I am redirecting that blog to my new blog..
looks like my link above is damaged. I'm Jennifer and I would love to sign up - naturemummy.blogspot.ca . No followers to date but having lots of fun! Great idea Vicki - not sure which 18th you mean since your post was the 24th but I'll add your button to my blog and post about it tomorrow. I have 130 followers. Big hugs! Wow, its coming up quick. It should be a lot of fun visiting all those like minded souls out there in blogland. Thanks for hosting such an amazing event. I've grabbed a button for my sidebar! I have made is really touching! http://dormouse.wibsite.com/ is more general, about my life in France and sometimes about my craft efforts. Wibsite doesn't show followers, but I have about 10/15 people who comment regularly. I will be very hppy to join in with this. Thank you for organising it, my dear. I want to be in, too. I have 84 followers. I love to leave comments on other blogs and I also love to get comments. Well, I would certainly love to participate. I have 19 followers and I have about 6 faithful commenters. While I think following is great I really think that commenting is really where the connection lies. Without that two way communication it sometimes just feels like you are "talking" to the air. Looking forward to meeting some great people and thank you for hosting this get together! What a wonderful idea! I will put the badge on my blog right now. My blog has 196 followers. Found you first through the Pink Scarf Project. This sounds right up my street! Thank you so much for doing this. I've only just discovered your blog today when a friend linked to this post, but I must post to say how I love the way you talk about the friends you have made through blogging, it sounds like it comes from your heart which is wonderful. I'm going to give it a try...I have 89 followers. You are really a go getter for the blogger world! Thanks Vicki...I should have pics of the first pink scarves coming my way! My blog address is: http://silkepowers.blogspot.com/ and I have 437 followers. Oh yay, Vicki, please count me in! Your button is on my sidebar and I'm at 440 followers, not sure how many receive the blog updates. One great thing about blogging is meeting new folks...last year I met some Hungarian bloggers...in Hungary...way fabulous! I'm not sure where my blog is headed but coming up on the one year anniversary of Dave's death so am turning a new corner. Taking off a week to ponder and to come up with some new ideas. Vicki, thank you for this blog party and thank you for being such a kind, generous woman. Hi. My name is Becka, aka 'The Girasole Lady'. I would love to join in on the "Grow Your Blog" party. As of this date I have 23 followers following my blog. Thank you for this opportunity. I can hardly wait! Count me in. I currently have 4 followers and really need more. Wow Vicki, I just came to visit you...trying to catch up from galavanting around New Zealand and oh my you included me in this fantastic post! You're such a generous person taking time to do this wonderful idea. Count me in because I can't wait! Hi. 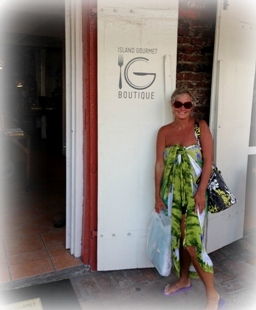 i just came across your blog from bungalow bling--and love it. I would be excited to join the grow your blog event. Thank you for such a lot of work on your part. I participated in owoh several years in a row and made some very nice friends from that. Count me in too! I have 202 followers. meeting you through blogging has been a great treasure! I would love to participate!!! This sounds fun, thank you for sharing...count me in too..I have 154 followers to my little place, please stop by and say hello.. I enjoyed reading this post and visiting many of the blogs you listed. What fun to see blogs from around the world! Like you, blogging has allowed me to meet some wonderful people. We share each other's joys and sadness. The world seems like a much smaller place. I would like to participate in the "Grow Your Blog" party. I have 597 followers, but I always enjoy meeting new people. Our family has a farm and much of my blogging has to do with our life here. Hello, Sandra from Thistle Cove Fram suggested your blog event, but now that I am here, I see two other bloggistes that I know! Isn't it really a such small and utterly charming world! I have 72 followers, 2 less than I had last month so I think I'll be very interested to learn what I can from these fabulous folk! Please count me in!!! I have exactly 100 followers! I too have "met" the most amazing bloggers! It is such a blessing to me!! Thanks so much for hosting this!!! Am just starting on this adventure will be posting over next week or so. Looking forward to gleaning tips and ideas from those who have already tripped, staggered, strolled and promenaded on this wiggly path. I am so happy to be part of this wonderful event and am also so honoured that you have included me amongst your list of friends. I admire your inspiration and commitment to simply helping others in so many different ways and I am here to support you in this! I have placed your badge on my sidebar and will help spread the word. I have to say that blogging has really changed my life and the direction of my creativity in so many ways. I can't tell you how it has enhanced and inspired my work opening so many new doors that I would never have believed possible. My blog has grown to 708 followers over the time of my blogging life and I still remember being amazed at myself for creating my own blog unaided! If you look on my current post you will see that I am now well on the way with my Pink Scarf tooo! Sending much love to a wonderful soul! Thanks for organizing this, please count me in! My crafty blog is www.gillymakes.blogspot.com and I currently have 67 followers. This sounds like a great idea. Please count me in. I currently have 272 followers, not many "friends"
I would love to participate. My blog is windandhoney(dot)blogspot(dot)com I have 223 followers. I would love to join too! My blog is thetreasurewithin.blogspot.com and I have 192 followers. What a terrific idea, Vicki, thanks for organizing this. Over the Rainebeau at http://rainebeau.blogspot.com/ and it is mainly an artsy/craftsy blog, mostly papercrafts. Please count me in! I would love to find more blogging friends. My blog features my adventures in creativity. I have comments set to be moderated before posted. Is that alright? And I've always heard it was dangerous to post your email address, but have seen clever ways of disguising them from bots. I'm so glad I ran across your post! Can't wait to meet new people. Dear Vicky, reading some of your post I've understood that you must be a wonderful person with a golden heart. 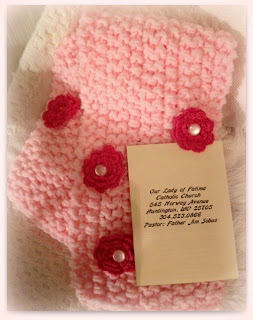 I've immediately add the pink button to share the project. Unfortunately, I'm new to the blog world and I have not follower, yet.Can I make a scarf made with other materials or only with yarns? As of this post, I have 18 followers. I'm looking forward to meeting new bloggers! I would love to join in on this "grow your blog party". I presently have 186 followers. I will post the button to my blog and I will be seeing you soon. Hello Vicki -- I just became your most recent follower. I have been reading through your blog now for over an hour. You are an excellent writer, so easy to read and personable. I need to read through the details of this blog party when my head is clear. If I'm going to commit I want to be sure I can follow through. It has been wonderful to "meet" you Vicki! I just found your blog through Everyday Ruralty who is participating in the Grow Your Blog Party. I will be participating as well and look forward to perusing your blog! Yes, count me in. I have 12 followers and have been blogging for about 2 months. Hello! What a wonderful idea, thank you so much for hosting this. 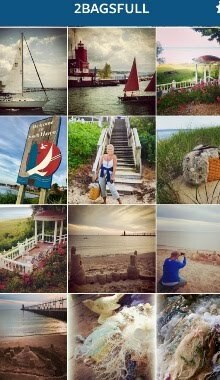 My name is Kathy, and my blog is "You'll Shoot Your Eye Out"
I have 178 FANTASTIC followers at the moment, but would love to share my photography and words with so many more :). Looking forward to meeting everyone! Vicki, I just love you for doing this. So many people are going to be experiencing lots of new traffic because of your generous heart. If/When I start a blog, you'll be the very first to know! Vicki, I would love to join Grow Your Blog - Just hope I can follow all the things I have to do for it. I would love to participate. My blog name is http://myriamkreativ.blogspot.com and at the moment I have 164 followers. I love the idea of blogging and I am happy that as a result of that I have contact to soo much beautiful people including you my sweet friend. Thanks for organizing the event and have a nice day! Thank you so much for this fantastic idea! It is so sweet of you! And I have 26 followers. I can't wait to find new creative blogs to follow and hopefully gain some followers of my own. I will also have a give-away when the time comes. Thank you for giving this Party, Vicki. I found your blog through another new blog that I just found, Thistle Cove Farm. Thanks to Karen for the link to this Grow Your Blog post! I'm in! I have 122 followers but always enjoy more visitors :). I have 155 following through GFC. I run a mobile template so I don't have a sidebar but I do have a dedicated page for hops and events. This sounds like so much fun! I have 308 followers. Thanks so much for doing this! My blog is often short and sweet. Other times, I have something to say. Either way, I love it when someone takes the time to comment. Sometimes my blog is short and sweet. Other times, I have more to say. Either way, I enjoy any comments and would like to join your party. It says I have 24 followers. Just saw your blog thru Gilly Makes, so pretty. What a wonderful idea, I will be joining. THanks. And I only have 2 followers!! 2!! I'll pin up the badge tomorrow, my Internet is slow somehow :) I'm following you now ms Vicky, for being so kind! What a great idea! I would love more followers as well! I have had my blog up for about 4 years and have 9 followers.... I started my blog initially just to keep my parents(who lived out of state) in the loop on what was going on in our family. But have since expanded it to blogging about just about anything really; recipes, crafts, Pinterest crafts I've tried, My art, products I love, my kids/family, and anything else I have on my mind. Just found this and I would love to participate. I've just started a new blog so only have 3 followers, but the new blog is a consolidation of two others I had, which had about 30 followers. I love reading blogs and meeting new people. Thanks for this great idea. I'd like to grow my blog so would love to participate. I have 68 followers. Thanks for organizing this. I'll make some changes to my blog to get ready. Count me in as I would love to participate -I too have met so many wonderful people through my blog , including you sweet Vicki. I have 392 followers from all over the world. Thank you for hosting this fabulous blog party. I will put your notice on my blog. Fun, fun, fun! Count me in! 155 followers as of today. Grow your Blog party is so exciting. DreamChallenge is an inspiration for me to share with other. Innate about 20 followers and a lot of trouble posting With that said, I totally love blogging. Looking forward to making new friends through this Grow Your Blog Party. Oh I almost missed this...yes sign me up! I can't wait to meet some new friends Vicki, thank you for doing this!! My blog is a spiritual blog, Pure from all the craziness and darkness of the world..
Just now we started blogging, me and my wife. We don't have any followers and We really, really need help. !! I've been blogging for two years, and haven't been wild about adding followers - but now I would like to grow my following. I have 84, when I reach 100, I will have a giveaway. I will put the badge on my sidebar as soon as I get home to MY computer. Oh, I would love to participate in this blog party - it sounds wonderful! As of today I have 163 followers, and some of them have turned into friends. What a great idea! As you well know being a new blogger can be overwhelming. I started in September of this year and have been learning as I go. I have 5 followers. Count me in! This sounds like an awesome idea. I have 14 followers. I would love to participate please, this is a great idea! Thank-you so much for hosting this! PS found you via "Gilly Makes"
Sounds amazing! I just started my blog in October so I have three official followers! Hello! This is a great idea! Please count me in! I'm a quilter and enjoy sharing my blocks and quilt progress on my blog. My readers give me suggestions, advice and encouragement and it means a lot! I always have a giveaway going and the only requirement for entering is to leave a comment. I have 610 followers. Thank you for this and I can't wait to have a look around! Hi everyone, I am new to blogging in general and the only reason I have created a blog is to share my own writing which is my great passion. Thank you for this opportunity! As a new blogger, I am excited to participate. Only a handful of followers to date. I blog for my personal journal. I too enjoy meeting bloggers from all over the world! I would love to join in. Presently have 190 followers. I've already checked out a bunch of you here! Love it! Again, I'm interested! I have 43 followers, have been blogging since September, and would love to expand! 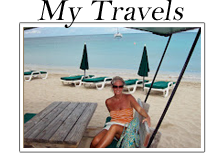 and was a guest designer on another blog...blogging has changed my life...love it!! thanks and will work on spreading the word the next few weeks!!! YES!! I'm in :) I have 15 awesome followers! Love this idea! Please count me in. I have 36 followers and look forward to this event! I'd love to participate and Grow My Blog. I started blogging about 5 years ago and just recently closed that Blog and opened this one. I now have 15 Followers...wonderful followers!! 15 Followers right now - and began my Blog about 2 months ago, after closing down my previous blog - one I'd had for 5+ years. I guess I thought I had signed up for this but I didn't, I signed up for the wonderful scarf project and forgot this one. Count me in and I have been blogging since about the middle of 2009 with 351 Followers. Hugs Marilou of Lulu's Lovlies. Vicki, I'd like to do this! I adore 'meeting' new folks around the world. My blog is http://hhcampbell.blogspot.com/. I've been blogging since March 2008. I currently have 112 followers. Hi Vicki, This is a great idea, and I think I can commit to it. I will be having surgery on 1/10, but I should be up to posting and visiting during my weeks of recovery. I've been blogging for 3 years and have 70 followers. I'm http://www.rustiquegallery.blogspot.com. Thanks! I currently have 380 followers. Thanks for hosting this party! It sounds like fun! I have 26 followers at the moment and am looking forward to the 19th coming year. The blog is Gardens Eye View and I have just over 300 followers...happy to have folks visit whether they have 2 followers or 700!! I will endeavor to follow the rules outlined...thanks! Thank you for hosting, you are so kind. Please include me, my blog address is www.lollylinens.com. Thank you! Hi, Just discovered you via Sharon Lovejoy and want very much to be a part of your event - I NEED followers to add to my poor figure of 4! I'm still figuring out the "techy" stuff - and trying to build followers - so far just obliging friends and relatives subscribing via email! I'm ready! I have been away from my blog and I most definitely want to get back to it! You are providing my motivation. Thank you! If it's not too late, I'd love to join and connect with other bloggers! I am, unfortunately, a no-reply blogger and the old fix doesn't seem to work. :( My blog is http://www.SMCbyDesign.com, my email is Shannon@SMCbyDesign.com, and I have 23 followers. If it's not too late, I'd love to join and meet new bloggers! Unfortunately, I am a no-reply blogger and the old fix doesn't seem to work. :( My blog is http://www.SMCbyDesign.com, my email is Shannon@SMCbyDesign.com, and I have 23 followers. I am in I am in!! My Blog is at approx 384 right now, Thanks for including all of us! How fun! I will be sharing my post on the big day! I currently have 30 followers through Google Connect. I have no idea how many followers by email and don't know how to find out (still learning the techy stuff)! Thank you for doing this. I came here via Suzy...and so glad I DID! I'd like to participate. 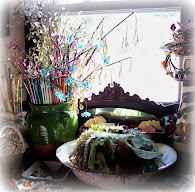 My blog address is www.bohemiannieart.blogspot.com. I have 240 followers at this point...but LOL...they come and go! I'm a bit opinionated. :) Thanks for putting this together! And...Happy New Year! I would love to be included in this wonderful event...I think it is fantastic! I have about 650 followers. I found you through Suzi, and I am so ready to grow!! What a great idea! I have discovered that there are so many nice bloggers out there. Your site is lovely. I enjoy sewing, crafting,DIY(especially re-inventing things or re-purposing new or old things). Love to travel, especially to Disney World and the mountains! Hi Vicki, what a lovely blog you have, I found your page via Kathy at You'll Shoot Your Eye Out, I'd love to participate - I think I have a grand total of 97 followers. My blog is basically photography, plus ramblings about same! Plan to join up. Thank you! I'm in. I am not sure what I will over as my giveaway, but I will figure it out before January 18. Thanks for hosting this opportunity. This sounds like a fun idea. I would like to join in. Crazy question - I don't have any followers that I know of and don't know how to check. Does that disqualify me from participating? I am 99.9% sure I signed up in October after LuluLiz told me about the Grow Your Blog Party, I even have the button installed on my blog! But, I don't see my post here anywhere, don't know what I did to it so it didn't work! But I'd love to participate, I have been planning for it, I even know what I am going to be giving away! I came here tonight to check and see if there was any more info and I am really glad I did! I love your beautiful nests. Thanks so much! I have 184 followers to date. I'd like to sign up. Already excited to visit some of the blogs of the ones signing up. I have been bloggin for soon to be three years and have 275 followers. I blog from my heart, personal with a little craftiness once in awhile Would love meeting others. As you will see it has no design and no followers. I tried a few years ago and stopped...My goal for 2013 is to truly blog and develop friendships across blogland while also "taming" my collection of raw material. Hi what a delightful idea. I have 44 followers and am happy to offer a giveaway too.......probably a selection of silk fabric pieces. hi! i'd really like to participate in this. right now, i have 26 followers. thanks! This is so exciting! And so very generous of you! Please add me to your list of blogs ... I am tickled pink about part of a fabulous group of bloggers! Hi! Please count me in, it will be fun to meet new bloggers ;) I have 79 followers. is the correct address and I have 143 followers. Now to figure out how to add the button.... LOL thanks again! This sounds like a fun thing to do and I'm in awe of the number of countries you have blogging friends in! My blog is at http://lavendercottagegardening.blogspot.com and I have 464 followers. Thanks for hosting a different kind of meme.